How do I look after my resin bound driveway in the winter? As the autumn chill makes us long for the warmth of summer and we resign ourselves to the fact that winter is on its way, this is a question we are increasingly asked. While all four seasons bring their own beauty, the cold harsh winter weather can be both beautiful and treacherous – with pathways and driveways becoming dangerous in frosty, icy conditions. This Blog contains advice for keeping them safe and clear this winter. Permeable resin bound paving delivers many advantages and a multitude of safety benefits over other surfaces, such as concrete and asphalt. The permeability of SureSet resin bound paving reduces the amount of standing water which lowers the risk of ice forming on the surface. While the absence of puddles for falling rain to splash into is an added benefit – especially when you are trying to bundle children or shopping in or out of a car on a dark winter evening! It is absolutely safe to apply salt to SureSet resin bound paving to prevent the formation of ice and can also be used to dissolve the unexpected arrival of ice or frost. However, we recommend that once the weather has risen to above freezing temperatures you thoroughly wash the area to remove any traces of salt. A plastic snow shovel can be used to safely remove snow from your SureSet resin bound driveway or pathway. And because there is no loose stone – guaranteed – when you shovel the snow onto another area of your garden, you don’t end up with stones all over the place once the snow has thawed. We do not recommend using a metal shovel or snow plough as this may cause damage to the surface by digging into the SureSet. As the snow melts it disperses through the SureSet permeable paving back to the water table, leaving no puddles, which means no slippery icy patches – yet another fantastic safety and comfort benefit. To prevent tyre marks, we advise not turning your steering wheel while the vehicle is stationary. 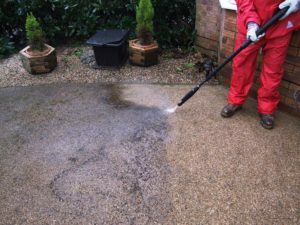 To remove tyre marks wipe the SureSet permeable paving with a white spirit soaked cloth and power wash with household detergent (please see further down for guidance on power washing). SureSet is not intended to be used by heavy objects such as skips, which can also cause damage when dragged across the surface. Care should be taken with any metal objects such as motorbike stands, gardening machinery and car parts. If you need to place a skip or use a car jack on your SureSet resin bound driveway we recommend using wooden planks to spread the load. Petrol and solvents – which can soften the resin and damage the surface. We recommend that you regularly sweep your permeable paving with a stiff broom, hosing with clean water at the same time. 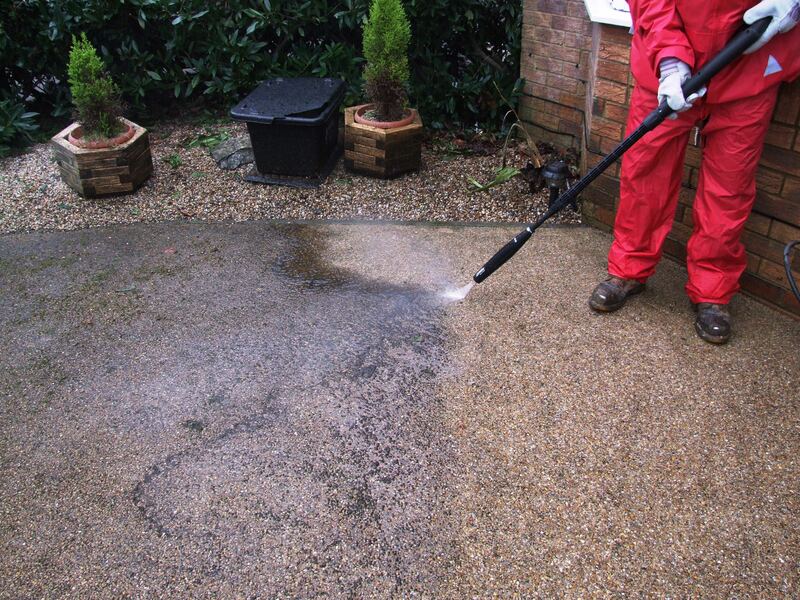 You can power wash SureSet permeable paving using a pressure washer (up to 150bar rating). Taking care not to use excessive pressure, using cold water keep the jet at least 200mm from the surface and use a sweeping motion. If the surface needs a more extensive clean, why not ask us for more information? If all weeds were removed before SureSet was installed it is highly unlikely that any new ones will grow. If any weeds do grow they should be treated with an appropriate weed killer. Moss may form on top of SureSet resin bound paving, but it can be removed easily using a stiff broom or pressure washer. Oil stains are usually washed away with natural rainfall, however, if you need to remove oil we advise washing with household detergent and warm water. Treat the chewing gum with a freezing spray and carefully remove with a wall/paint scraper when it has hardened. These simple maintenance tasks will help keep your SureSet permeable paving looking as good as new, for years to come. This information is intended as a general guide on how to care and maintain your SureSet resin bound paving. While every effort is taken to ensure its accuracy customers should satisfy themselves that the treatment suggested is suitable for their specific requirements. SureSet assumes no responsibility for any damage that is caused. 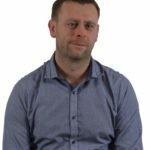 Why not watch our maintenance video? You can download full maintenance guide here. We also offer a cleaning service – if you would more information about this please contact us. If you have any questions please call Dave or Hayley on 01985 841876 or email us.